U.S. Pres. Donald Trump’s proposed budget for 2018 is a clear demonstration of his security priorities and policy plans that will spark concern and anxiety among key strategic U.S. partners in the country’s efforts against organized crime in the Americas. The president’s proposed foreign aid budget, which still has to be approved by Congress, slashes funding for global peace and security initiatives by 14 percent compared to 2016 levels, dropping from $8.98 billion to $7.72 billion. Funding for efforts against transnational crime would be reduced from $211 million to $136 million. Funding for counter-narcotic efforts would drop from $476 million to $374 million. However, these reductions are relatively mild compared to the 29 percent decrease in the overall foreign assistance budget, as “soft power” interventions in the form of financing of governance, development or social care projects are affected far worse. 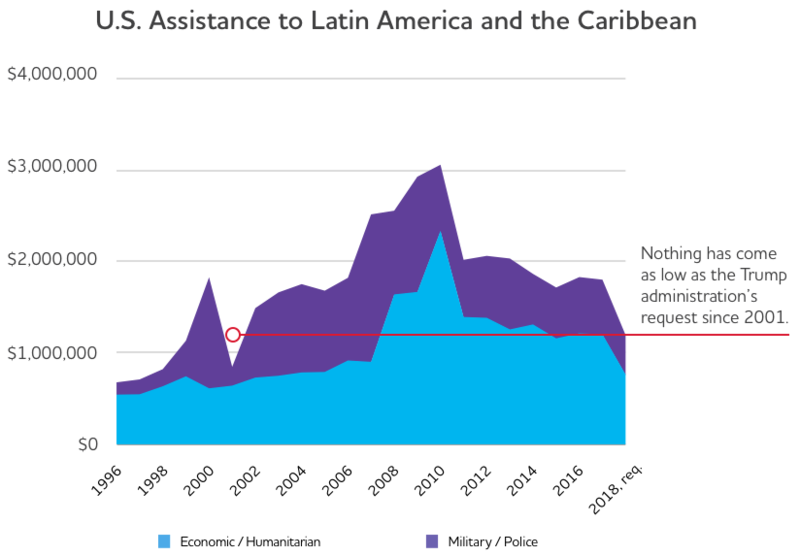 In Latin America and the Caribbean, the budget includes a drop from $1.71 billion in aid in 2016 to $1.09 billion for 2018, an overall reduction of 35 percent that would take regional funding to the lowest levels seen since 2001, according to the Washington Office on Latin America. The budget includes 37 percent less funding for economic and humanitarian assistance programs compared to 2016 and a 30 percent drop in military, law enforcement, and counter-drug trafficking programs in the region. Foreign Military Financing, the main military aid program in the foreign aid budget, would fall to zero throughout Latin America from about $70 million in 2016. Of the most concern from a security perspective are the drastic cuts in the region’s crime and violence hotspots, and perhaps most gravely of all in Colombia, where the peace process with the Revolutionary Armed Forces of Colombia is at a critical and delicate moment. The figures laid out in the budget for Colombia show a drop from $299 million in 2016 to $251 million in 2018. The new budget includes huge cuts in areas funding post-conflict projects, with the budget slated to fund increased civilian government presence in rural zones of Colombia, crop substitution programs in coca-growing zones, and assistance to conflict victims particularly hard hit. Mexico, meanwhile, would see aid funding cut by 45 percent, including a 40 percent drop in aid for international narcotics control and law enforcement, with cuts heavily weighted towards the soft power investments in rule of law, human rights and governance. The cuts, if approved, would come against a backdrop of rising violence in that country. Central America’s Northern Triangle—the gang-plagued drug transit nations of El Salvador, Honduras and Guatemala—will face a 34 percent decrease in funding. On the U.S. domestic front, funding plans laid out in the budget also send a worrying message about the Trump administration’s plans for tackling security and organized crime. The budget allocates $2.6 billion of the $44.1 billion requested for the Department of Homeland Security for border infrastructure and immigration enforcement. Of that amount, $1.6 billion is set aside for the construction of 74 miles of a physical wall along the U.S.-Mexico border at a cost of over $21 million per mile. In addition, $300 million will be used for the costs of hiring 500 new Border Patrol Agents and 1,000 new Immigration and Customs Enforcement personnel as well as a separate $1.5 billion increase above the 2017 levels to enhance the capacity of DHS to detain and remove illegal immigrants. 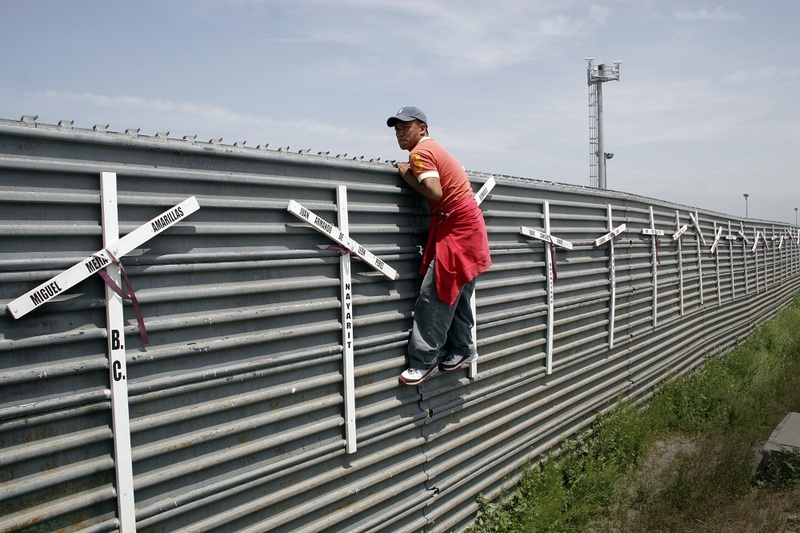 As InSight Crime has previously reported, the wall is unlikely to do much to deter drug trafficking, and the immigration and border enforcement hiring surge could exacerbate existing corruption problems within those agencies. Counter-narcotic funding, which spans 14 executive branch departments, will rise one percent to $27.8 billion. Within this, funding for the interdiction of drugs would rise 9.9 percent compared to 2017, but funding for the prevention of drug use would be slashed by 11.1 percent. Government bodies tasked with collaborating with international partners will face severe cuts, however, with the money allocated dropping 10 percent to $1.4 billion, including a 28 percent cut to the Department of State’s Bureau of International Narcotics and Law Enforcement Affairs, the body tasked with working with source countries to disrupt drug production and strengthen criminal justice systems and law enforcement bodies. However, the message that U.S. regional partners will likely take from the proposal is that the United States retreating behind its borders, and is more concerned with keeping foreigners out than tackling the root causes of transnational organized crime. The slashing of foreign aid and funding for bodies working with international partners will likely undermine efforts against drug trafficking and organized crime networks in the region. Even more seriously, the disproportionate cuts to funding for “soft power” initiatives could set back critical efforts to undermine the grip of organized crime in Latin America and the Caribbean. The long-term success of security policies in the region hinges on meeting the goals of these initiatives, such as reforming corrupt and inefficient judicial and law enforcement institutions and generating development and employment to offer an alternative to illegality for people in vulnerable communities. As the U.S. government should have learned from the decades and billions of dollars poured into a drug war that has done little to stem the production or flow of drugs, hard power is never enough. Perhaps, the most worrying aspect of the budget is the cut in funding for Colombia, which security analyst Adam Isacson describes as a “moral and fiscal blow to Colombia’s effort to implement an ambitious peace accord.” The implementation of Colombia’s historic peace accords has stumbled from crisis to crisis, and the withdrawal of significant funding could devastate future plans, especially at a time when Colombia is financially struggling due to an economic slowdown. If the Colombian government fails to implement the key aspects of its accords, the country could enter into a new cycle of violence fueled by disillusioned guerrillas returning to the underworld. If it does not meet its obligations on rural reform and coca substitution, meanwhile, recent record levels of cocaine production are likely to persist. Trump’s budget has not yet been approved, but even if the planned cuts are watered down, the proposal alone is a troubling indicator of his administration’s priorities and the policies it is likely to pursue. Trump may believe in “America First,” but the plans laid out in the budget are more “America Alone,” and will likely do little to improve security both within and outside of U.S. borders.